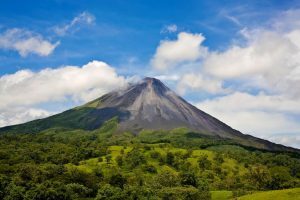 Luxury Gold is set to continue its worldwide expansion with the addition of Costa Rica to its already impressive portfolio, taking its footprint to 39 inspiring travel itineraries. With luxury travel growing faster than overall travel*, Luxury Gold is well placed to capture the aspirations of travellers, drawing on a heritage of hospitality within the Tollman family to redefine the concept of luxury travel. The sister brand to Insight Vacations, Luxury Gold aspires to take guests on a journey beyond the ordinary. Guests stay in properties renowned for their exceptional style and service including the Raffles Grand Hotel d’Angkor in Cambodia, The Taj Lake Palace in Udaipur, the Capri Palace Hotel & Spa in Italy, The Milestone Hotel in London and the Belmond Copacabana Palace in Brazil. Costa Rica will be no exception, with guests set to indulge in memorable dining and enjoy boutique accommodation, including a stay in eco-luxury within the El Silencio Lodge & Spa’s private, 500-acre cloud forest reserve. To support continued growth, Insight Vacations is pleased to announce the appointment of David Farrar, as Sales Director for Luxury Gold, following more than a decade with Insight Vacations. David Farrar commented on his appointment: “It’s an honour to be part of the growth story of Luxury Gold. I’m excited about working with our agency partners to introduce many more Australian guests to this world class collection”. Farrar will commence his new role on July 3.